An ESTA (officially known as the Electronic System for Travel Authorisation) lets you visit the US for less than 90 days without needing a visa – as long as it's for a holiday or a business trip. It's called the visa waiver program. An ESTA is open to all citizens of visa waiver countries – including the UK. For a full list of countries that are part of the program, visit the US visa website. Do I need an ESTA? Official guidance says to submit your application at least 72 hours prior to travel. And remember, you need an ESTA even if you’re going to change planes in America. Apply online via the official ESTA website. Allow up to 72 hours for a response, though your application may be processed instantly. Make a note of the application number so you can check your ESTA status or update your information. Make your ESTA payment – it currently costs $14 if you do it directly via the ESTA website. You’ll probably pay more if you do it through a travel agent. If you're refused entry to the United States you'll only be charged $4. View your application status – once your ESTA is approved, it’s valid for two years and you can make multiple trips back to America during this time without having to reapply. 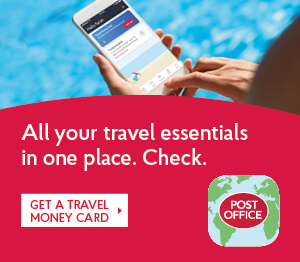 You don’t need to print off or take your ESTA information with you when you travel – it will automatically be sent to your carrier. It’s up to you whether you update your travel information on the ESTA system for future trips. The ESTA rules specify that you need to apply at least 72 hours before you travel. If your ESTA is turned down, then you need to apply for a Non-immigrant Visa. This usually involves booking an appointment at a US embassy and visiting in person – this takes a lot of time, which is why you should book well in advance. An accepted ESTA application costs $14 (about £9) per person, and must be paid for by credit card. If your application is rejected, it only costs $4. If you're travelling for a big family holiday, that can add up quickly. The fee will be charged to your card as US dollars – find out if your credit card provider will charge you to convert your money so you can budget accordingly. An ESTA is valid for two years, or until your passport expires - whichever comes first. If you received an ESTA for a visit to the US less than two years ago, but renewed your passport afterwards, you'll need to submit a new application. Can I renew my ESTA? No – when the ESTA expires, you need to submit a new application. I've left it last minute and I'm just about to travel – what should I do? Don't panic – the best thing to do is get onto the official ESTA website right away and apply. Your application may be approved instantly. If you don't, you may be turned away when you arrived at customs – or not be allowed on your flight.